With CES kicking off this week, we have a spate of laptop-related announcements. As Intel is launching their Kaby Lake quad core (4+2) SKUs for laptops, so too are new video cards are being launched to use in those systems. To that end, today NVIDIA is taking the wraps off of their latest mobile video cards, the GTX 1050 Ti and GTX 1050 for laptops. As you might recall from last summer, NVIDIA has reworked how they are positioning and promoting their laptop products starting with the GeForce 10 series. Rather than having separate laptop SKUs with their own (lower) specifications, the 10 series’ SKUs all have (nearly) the same specifications as their laptop counterparts. This means that the launch of most laptop parts has been shifted to something of a formality – we already know roughly what their specifications will be – but it still marks an important milestone for NVIDIA and their customers as these laptop parts finally become available. To that end, NVIDIA and their partners are launching the laptop versions of the GeForce GTX 1050 Ti and GTX 1050. The original desktop versions of these parts were launched back in late October, built using NVIDIA’s GP107 GPU. The successor to NVIDIA’s now-venerable GM107 that kicked off the Maxwell generation, GP107 is NVIDIA’s mainstream performance, high-volume GPU. And GTX 1050 Ti and GTX 1050 in turn are the formal SKUs that will be the backbone of a number of mainstream gaming-capable laptops. Looking at the individual SKUs, the GTX 1050 Ti for laptops will be the full-fledged GP107 SKU. It ships with all 6 SMs enabled, for a total of 768 CUDA cores, just like its desktop counterpart. On the clockspeed front, officially it can boost up to 1620MHz; surprisingly this is some 228MHz (16%) higher than the desktop part it’s based on. NVIDIA has already played with the clockspeeds of some of the other laptop SKUs, so that it doesn’t match the desktop clockspeed isn’t unexpected, however this is the first time we’ve seen the clockspeeds increase like this. Unfortunately I don’t have a good answer right now to explain the difference. GP107 is something of a special chip to begin with – it’s the only Pascal chip made over at Samsung on their 14nm process – so it already throws out part of the rulebook. NVIDIA of course bins parts for laptop/desktop usage, so it may just be that the better chips being held back for laptops can clock so much higher, or it could be that Samsung is producing better chips since the initial batches that defined the desktop launch a few months ago. Either way laptop clockspeeds are a lot more variable from product-to-product regardless: the design of a laptop’s cooling system has a lot more to do with sustained clockspeeds than NVIDIA’s formal specifications. NVIDIA for their part doesn’t disclose the TDPs of their laptop SKUs, so it’s impossible to say just how much cooling is required to get close to the GTX 1050 Ti’s peak performance, but it’s likely not too far removed from the desktop part’s 75W TDP. Moving on, paired up with the GP107 GPU in the GTX 1050 Ti for Laptops will be paired with 7Gbps GDDR5 for VRAM. As is usually the case with laptops, the amount of VRAM is an “up to” specification – in this case up to 4GB – so I’m expecting we’ll see both 2GB and 4GB laptops. This in turn is running on GP107’s 128-bit memory bus, so we’re looking at 112GB/sec of memory bandwidth. Also launching alongside the GTX 1050 Ti for Laptops is its lower-end sibling, the GTX 1050 for Laptops. As with the desktop part, this is a GP107 SKU with 5 of 6 SMes enabled, trading off about 17% of the shading/texturing/geometry hardware in exchange for lower prices. However past this point, it more significantly diverges from both its desktop counterpart and faster laptop sibling. NVIDIA has disabled half of the ROPs, leaving it with 16 ROPs instead of the full 32 ROPs found on GP107. To date this is the second time NVIDIA has shipped a GeForce 10 series for Laptops part with a different core configuration, and the first time that modification has been the ROPs (and is why we say laptop parts are configured similarly to their desktop counterparts). GTX 1050 for Laptops has a low enough SM count that I’m not fully sure what the impact is of disabling half the ROPs, as the ROPs likely weren’t always being fed to begin with. 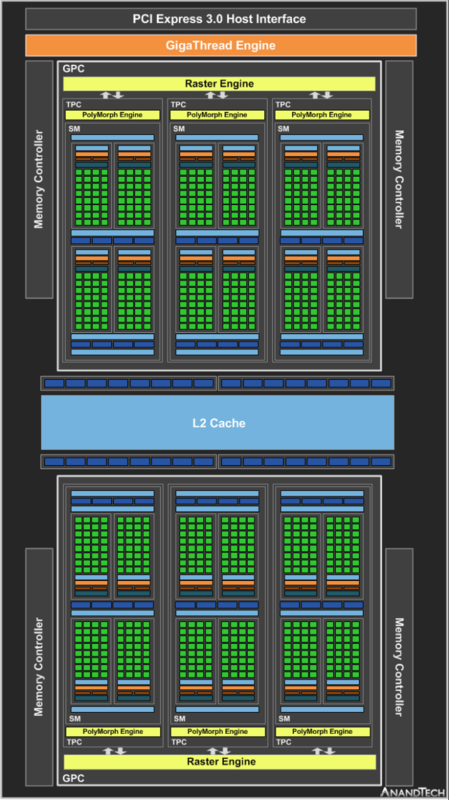 At the same time, NVIDIA has never done something quite like this before, as GTX 1050 retains its 1MB of L2 cache, something that doesn’t usually happen when ROPs are disabled. So this isn’t something that can be logically reasoned out, and we’ll have to see what the benchmarks find. However I think it’s safe to say that it will certainly drive a larger wedge in performance between GTX 1050 Ti and GTX 1050 than what we’ve seen on the desktop side. In any case, unlike the GTX 1050 Ti, this SKU is going to be clocked much closer to its desktop counterpart, coming in at 1493MHz for the boost clock (~2.5% higher). On paper then, GTX 1050 for Laptops can deliver about 77% of GTX 1050 Ti for Laptops’ shader/geometry throughput, or 46% of its ROP throughput. As for memory, things are unchanged from the GTX 1050 Ti. This means “up to” 4GB of GDDR5, running at 7Gbps. Overall, given that these SKUs are meant to replace GM107 in so many designs, I’m very interested in seeing just what the real-world performance uplift is. Replacing the 3 year old GM107, GTX 1050 Ti for Laptops enjoys a significant clockspeed, ROP, and SM count advantage over parts like the GTX 950M/960M, so there’s quite a bit of potential, possibly more than we’ve seen in the desktop. Which if GP107 ends up being a major backbone part for midrange laptops like GM107 was for the past few years, would be very welcome news. Wrapping things up, like the rest of the GeForce 10 series for Laptop parts, the new GTX 1050 series parts gain access to NVIDIA’s full laptop feature set. This includes the latest iteration of Battery Boost, G-Sync support (something that might be especially useful for these lower-performance parts), and overclocking support. As for laptops featuring these new video cards, NVIDIA’s partners will be shipping laptops with them this quarter – some as early as this week – and already several have been announced here at CES. Final pricing will vary by laptop, but broadly speaking, NVIDIA expects GTX 1050 for Laptops equipped systems to start at $699.